Comfort – Always consider comfort when buying an organic mattress. Organic cotton and wool are some of the most popular choices of organic mattress materials due to their soft comfort and protection against allergens, making them friendly to sensitive skins. Latex, on the other hand, conforms well to individual body shapes, reducing pressure points and creating the best surface that accommodates unique contours of the body. Quality – Organic mattresses and beddings are known for their quality and durability. While significantly more expensive than their synthetic counterparts, you will find your investment well worth it in the long run as these products can last decades with proper maintenance. 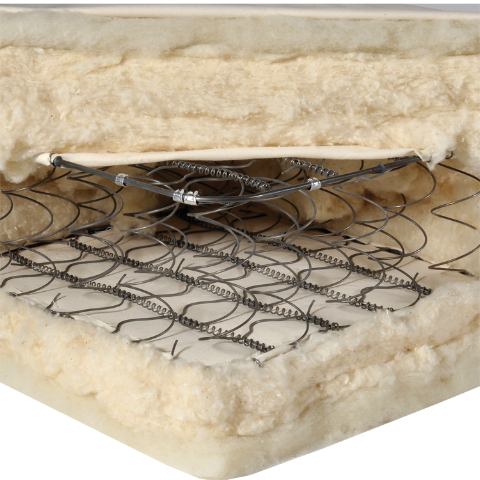 They are extremely durable and resistant to damage, particularly natural latex mattresses, which have a 20-year life span on average. Health benefits – Organic mattresses offer tons of health benefits as they are free from the harmful chemicals that their synthetic counterparts are exposed to. When shopping for an organic mattress, be sure that the manufacturer complies with strict organic standards so that the product you will receive is guaranteed to be free from impurities and toxic chemicals. Organic cotton mattresses and beddings are a popular choice for allergy sufferers and people with chemical sensitivities because they provide resistance to allergens and are not doused in chemicals that make these conditions worse.